A recent report from New York City Mayor Michael Bloomberg’s Office included recommendations that will save NYC taxpayers an estimated $71 million in fleet management cost over the next four years by streamlining government fleet management, centralizing fleet operations, cutting vehicle fuel use, and decreasing the number of fleet vehicles. It’s part of the Mayor’s overall plan to save taxpayers over $500 million over the next four years by significantly increasing government efficiency. 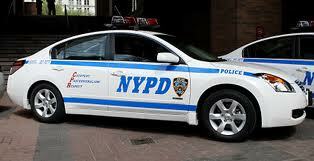 Bloomberg’s administration wants to centralize the city’s fleet operations. One of the best ways that the NYC Mayor plans to reduce fleet costs and improve fleet efficiency is by implementing a GPS Fleet Tracking System and Management Software. Implementing a GPS tracking and management system will help the city to cut costs and improve fleet operations simultaneously. The report showed high quantity of decentralization across the city’s fleet operations which is not very efficient. The city employs more than 1,500 fleet management people that repair vehicles at 126 shops, each with their own set of equipment, staff, and parts inventory. Based on these numbers alone, it is clear that there is room for improvement in the fleet operations department. Standard performance metrics for fleet maintenance and fueling operations will be created. The city will manage a city wide database to improve accountability and transparency of fleet operations. This will help agency managers easily identify trends in their agency’s vehicle use, reduce downtime, decrease the number of fleet vehicles, reduce fuel use, and avoid expensive breakdowns by providing preventative maintenance on a regular and consistent basis.